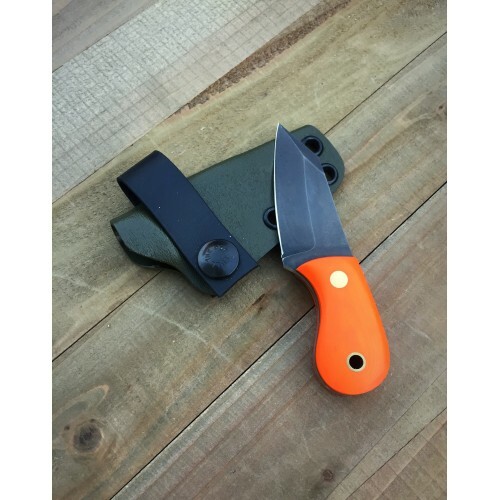 The Waddle is our necker , smallest blade we make right at 4 inches overall length. Named for the waddles on Red Waddle pigs. 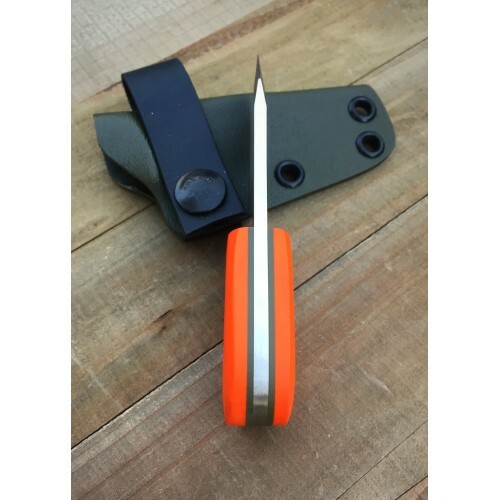 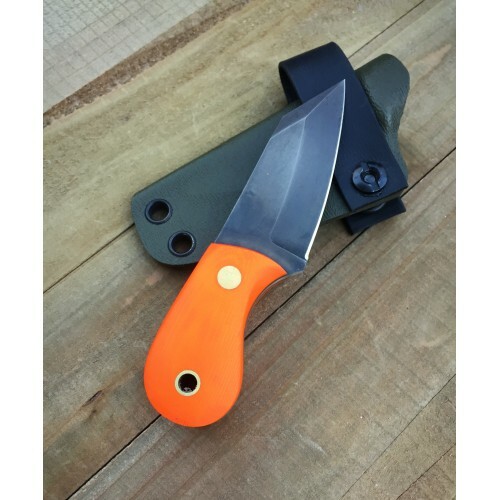 Orange G-10 handles with OD green liners and brass hardware.